← Tiara Time: Family Heirlooms to the Big Event! Part I: the Lannoy! 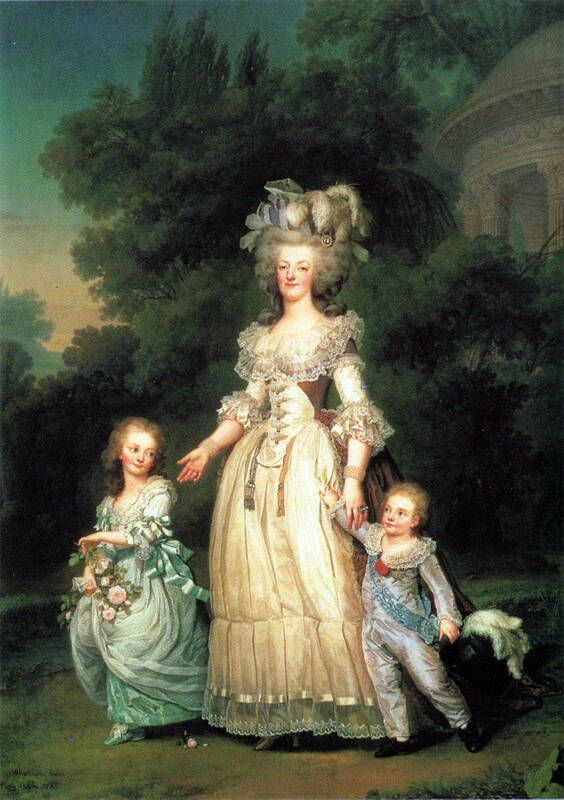 Of course, Moberly may have read Madame Campan‘s memoirs where Campan stated that the above was truest likeness of Marie Antoinette. Interestingly, at the time it was painted the French public held the artist’s interpretation in great disdain compared to those of Madame Vigée LeBrun. According to the article, Moberly and Jordain found much evidence to support their “time warp” claim. Would you read their book? Curious to see their reasoning? Or do you just think they were dying to be a part of history? This entry was posted in france, marie antoinette and tagged ghost, marie Antoinette, Versailles. Bookmark the permalink. ah, not THIS haunting! the ladies had crossed around Petit Trianon from behind and were crossing through the French garden. Know what, I’ll find the direct quote for you. The story is so complicated I always knew it would be a multiple-post subject. Now you’ve got me curious about the hallway tale? Do you remember anything else about it? where you read it? Which hallway? Thanks for setting up a new post! I think Wikipedia mentioned the hallway one but I’d also read it somewhere else before. Not sure when it had happened but it happened in the 20th Century. There must be more Marie Antoinette encounters!